Ships tomorrow if you order in the next 19 hours 22 minutes. Long-valued as a tonic in Ayurvedic (Indian) practice, shilajit is a sticky, pitch-like substance that emerges from between rocks in the Himalayas in the summer. It is rich in fulvic acids, humic acid and many minerals. 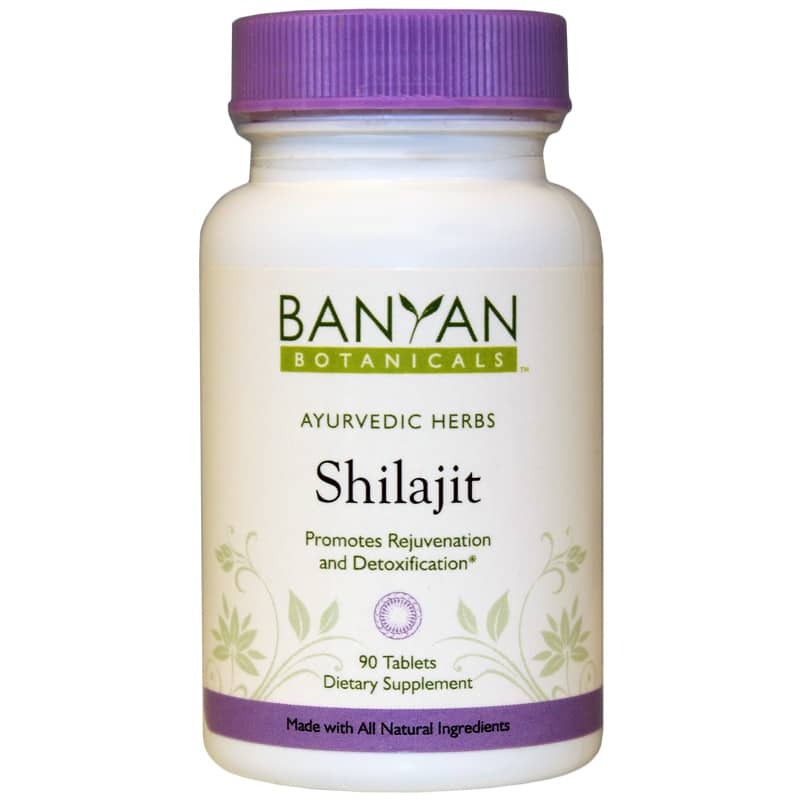 Shilajit from Banyan Botanicals may offer a wide range of health benefits and support the urinary tract, kidneys, and male and female reproductive systems while promoting vitality and stamina. This potent shilajit supplement can be taken daily to promote overall vitality and energy, to support reproductive function and libido or to nourish the lungs and urinary tract. Order yours now! 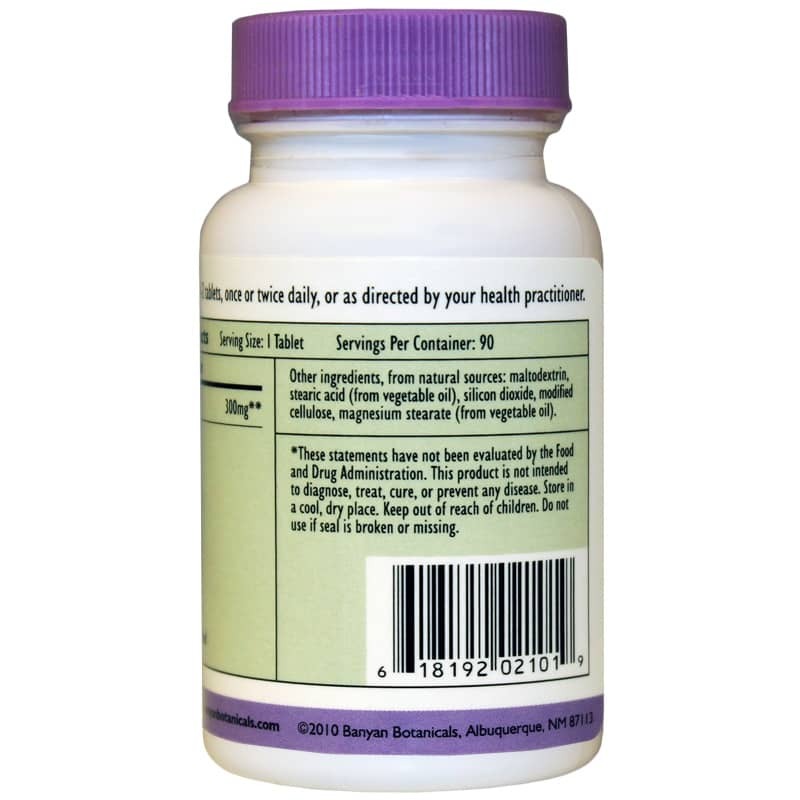 Other Ingredients from natural sources: maltodextrin, stearic acid (from vegetable oil), silicon dioxide, modified cellulose, magnesium stearate (from vegetable oil). 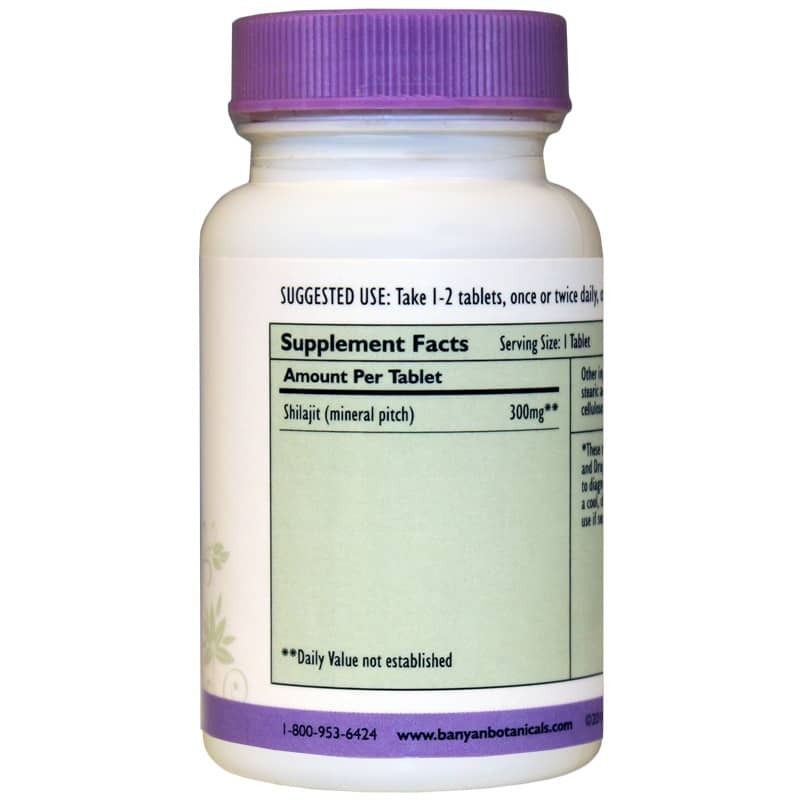 Adults: Take 1-2 tablets, once or twice daily, or as directed by your health practitioner. Possible Contraindications: Hypoglycemia. If you are pregnant or nursing, please consult your healthcare professional before using this product. Keep out of the reach of children. This product has made feel so much better since taking it. It will be added to my daily regimen.